Uncover two amazing hidden gems in the hills of Rome, on 2.5 hour walking tour with a local expert guide and small group. 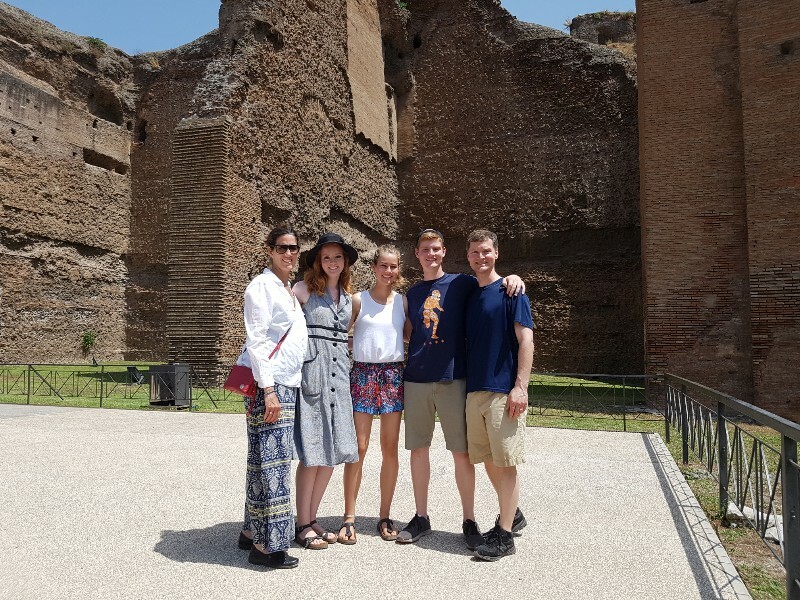 Explore 2 archaeological sites off-the-beaten path: an ancient Roman bath house of Caracalla with a virtual reality tour, and underground houses (Case Romane) on Caelian and Aventine hills. Let your guide bring these two sites to life for you with expert narrative, and learn about life in the ancient Rome. 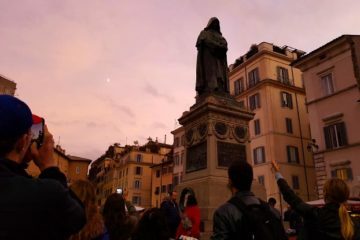 From the meeting point, located in the center of Rome, you will head off to the first venue: Case Romane, where thanks to your expert guide you will uncover a place unknown to most of tourists, Case Romane. Houses built from 1st to 4th centuries AD, buried under an ancient church and only excavated in 19th century. You will find a very little info available about this site in the guide books, so just let your guide provide you with a detailed description of the site. 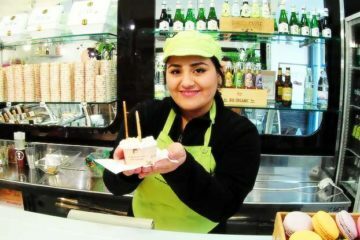 The second venue is only a short walk from the underground houses, on the Aventine hill. 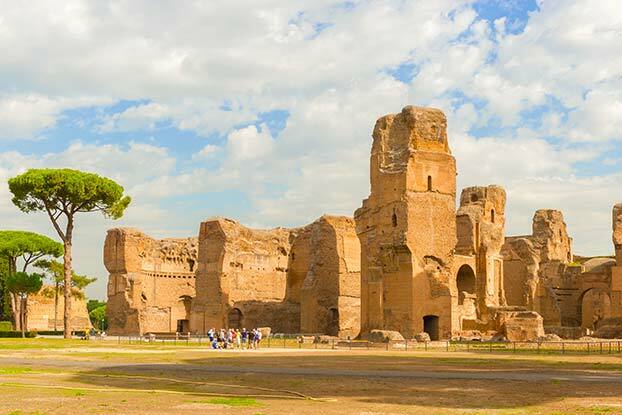 Caracalla baths used to be one of the most important and splendid bathing establishments of ancient Rome, built in the 3rd century AD the scale of this complex will impress even the most seasoned of travelers. This excavation is an absolute must-see place in Rome. Follow your guide into the heart of this astonishing structure and learn facts about the habits of elites of Roman society nearly 2000 years ago. Enrich this unique experience with the help of a Virtual Reality (VR) goggles provided by the venue. Great experience. The guide was friendly and knowledgeable. Must add this place to your things to do in Rome List. Caracalla baths are the ruins of an ancient Roman bath complex . The site is filled of history. Case Romane del Celio are ancient Roman houses with rooms which contain wall paintings.Our friends took this tour in May a recommended to us this company. We had the same guide, Dmitri. He was very informative. 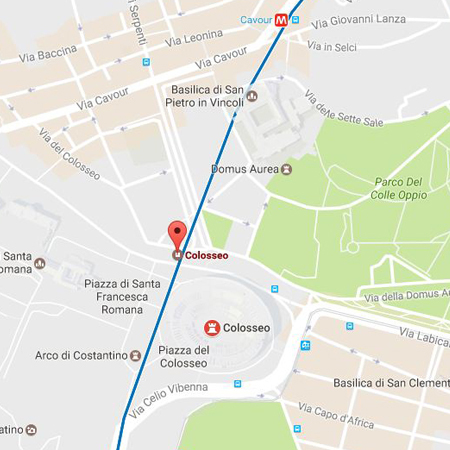 A great opportunity to see and ancient site not to far from the Colosseo. We met our GREAT Guide Julie right in front of Colosseo metro station. 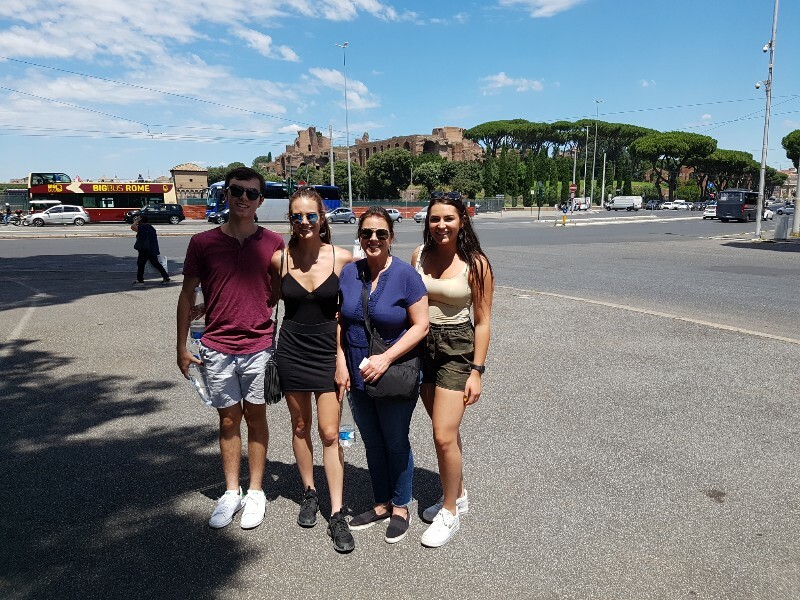 We started by visiting Caracalla baths , walked through the ruins and they give a real understand of the scale of these buildings .It’s a very peaceful place.Case Romane del Celio is a treasure in Rome, we enjoyed the brilliant rooms with frescos and Mosaic floors. Highly recommended!!! 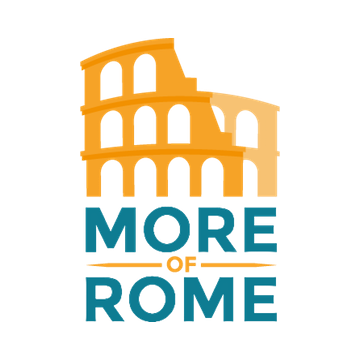 We booked two tours with more of rome this one and secrets of rome, both were great. For this tour our guide was a really amazing historian, you could expect a pretty dry tour from a historian, but this man was just fantastic, full of stories and anecdotes and of course very knowledgeable. Lots of walking, but that’s the only way to see rome. Rome is full of surprises, we walked by this place so many times while in Rome, but never even imagined that it was one of the coolest arch. sites in Rome. Lots of walking on this tour, but it is absolutelly worth it! They offer two more underground tours and we will definitely book them next time. You absolutely have to take this tour! Very energetic and enthusiastic guide and fascinating venues. Wonderful experience. I give this tour 5 stars. We booked two tours with more of Rome : walking tour of Caracalla and bus tour of catacombs . What can I say , these places are fascinating ,full of history and being archaeology lovers we enjoyed both tours very much.